A customs officer who can smell fear develops an unusual attraction to a strange traveller while aiding a police investigation which will call into question her entire existence. Customs officer Tina (Eva Melander) is known for her extraordinary sense of smell. It's almost as if she can sniff out the guilt on anyone hiding something. But when suspicious-looking Vore (Eero Milonoff) walks past her, her abilities are challenged. Tina can sense Vore is hiding something, but worse, she feels a strange attraction to him. The complex relationship that develops between the two, lies at the heart of a film that has the rare quality of feeling quite unlike anything else you might have seen. 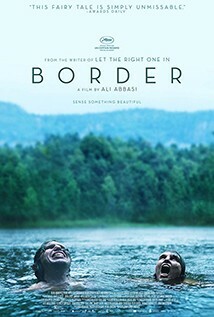 Director Abbasi successfully juggles disparate plot elements, smoothly bringing them together - you can never quite predict where the film is going.